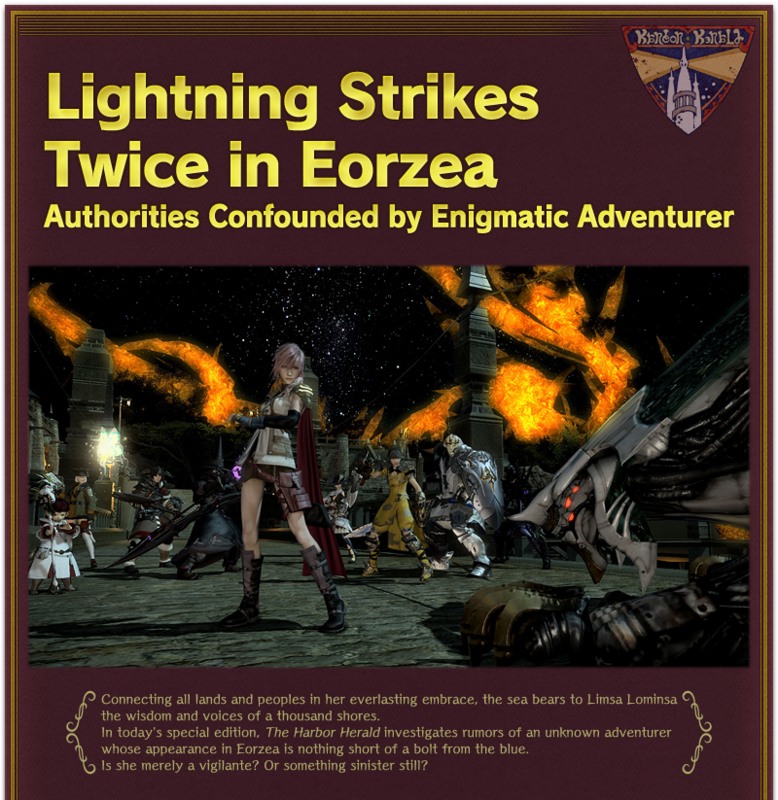 The Lightning FATE starts on the 14th and runs until the mid December. Female characters can grab Lightning's outfit, and male characters get Snow's. I knew there was a reason I rolled female. It appears that each "chapter" of the FATE will be released over time with #1 being released the 14th, #2 released on the 16th, #3 released on the 18th, and the last one on the 20th. Previous chapters will remain open until the conclusion of the event. This highlights one of my problems with FF14: No cosmetic armor slots. This armor is garbage. Absolute trash. Just like with the swimwear there's no real bonus to doing this FATE. So you're never going to wear it unless you're going to do pure roleplaying which is.....never.